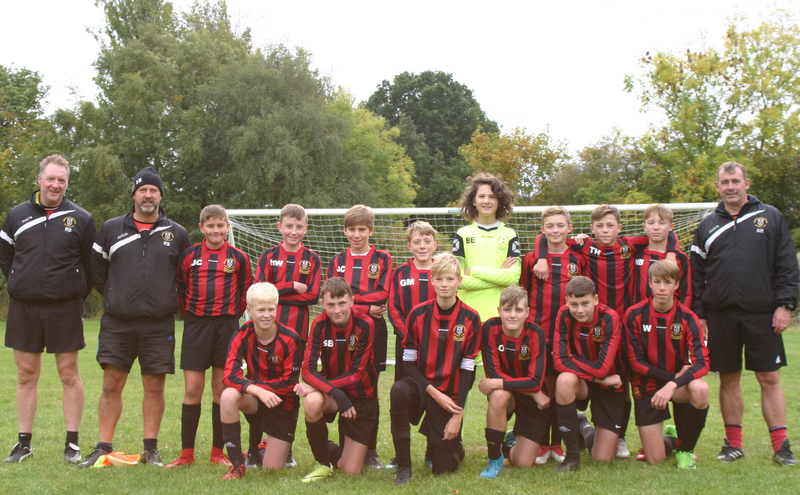 Gomersal & Cleckheaton U14 White 0 vs. 4 Bingley Juniors U14 Barca - 13 January 2019 - Under 14 White - Gomersal & Cleckheaton F.C. This was a tough game against a very Good Bingley Team. The team were defending most of the 1st half and the visitors scored and at half time Gomersal were lucky only to be 1-0 down. Straight after the break they scored a furtunate 2nd which was a cross that looped into the net. The team battled really hard but Bingley were too strong. Bryn Evans made some great saves and played exceptionally well, getting better each game and was unlucky not to get MOM. Elliot Atkinson, Callum Snowden, Luke Oldcorn, Tim Hill and Gilber Clough all worked and played really well. The whole team stuck together and didn't let their heads go down. The MOM was Lewis Wilkinson who constantly attacked the ball, was strong and solid in defence, well done.